Diabetes mellitus is associated with significant increases in ASCVD. In T1DM, increased ASCVD is linked to hyperglycemia, renal disease, and hypertension, with dyslipidemia contributing when present. In T2DM, although the aforementioned complications of diabetes may each contribute to increased ASCVD, the dyslipidemia plays a more important role. 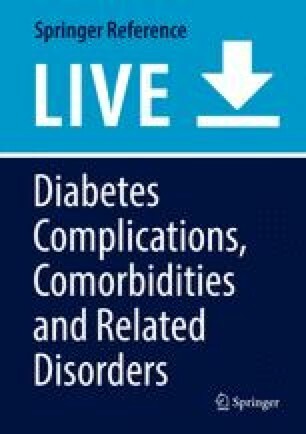 Optimal glycemic control with diabetes medications can normalize plasma lipid levels in most individuals with T1DM. Insulin resistance is central to the pathophysiology of dyslipidemia in T2DM, with obesity and independently inherited detrimental lipid genes exacerbating the phenotype. Aggressive LDL lowering is key in individuals with T2DM because of their very high risk for ASCVD. High doses of potent statins are the first line of therapy followed by ezetimibe, which will be required to achieve LDL cholesterol levels well below 100 mg/dl. Therapy with lifestyle, and if needed, TG-lowering agents such as fibrates and omega-3 fatty acid concentrates can be used to treat hypertriglyceridemia, with the understanding that these agents have not consistently reduced ASCVD events. When individuals with T2DM also have very high levels of LDL cholesterol, PCSK9 inhibitors should be considered.